With Warsaw now one of the fastest growing co-working hubs, the CEE region is very much in the forefront of global office trends.The world’s largest brands as well as developers in this niche are all becoming aware of the excellent business opportunities here. According to Savills’ latest report on flexible offices, ‘Workspace as a service – trend or necessity?’, Warsaw is one of the four hottest co-working locations in Europe. In the five quarters covered by the survey (Q1 2017 to Q1 2018 inclusive) as much as 6 pct of the area rented by co-working operators in Europe is located in Poland’s capital city. 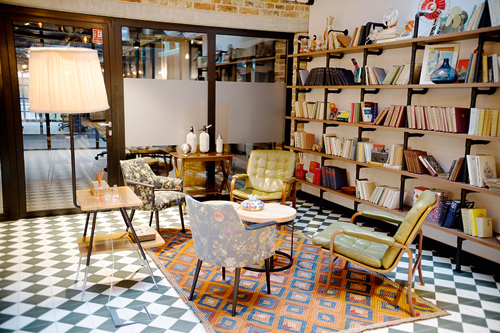 Although still behind London, with 26 pct of the European market, Paris (15 pct) and Berlin (10 pct), Warsaw’s fourth position in terms of co-working activity undoubtedly places it among the European leaders. Almost 30,000 sqm was leased in Warsaw for co-working in Q1 this year, which is more or less the same as for the whole of 2017. And the expansion of international chains into our region is starting from Warsaw – last year, Israeli operator Mindspace and this year German company Rent24 opened premises in the city, while American chain WeWork is set to debut later this year. The company, which is the largest and most dynamic co-working operator in Europe (where it signed contracts for 285,000 sqm in the five quarters mentioned, while the second largest Regus (IWG) secured 155,000 sqm) clearly has the potential to shake up the Warsaw office market. So far WeWork has plans to open two Warsaw locations – in Cedet and Browary Warszawskie. And it is probably not going to stop there, judging by its rate of growth in some European cities – within three or four years of entering the market, the brand became the largest user of offices in London. Regus, the world’s largest operator of serviced offices, is also not resting on its laurels. 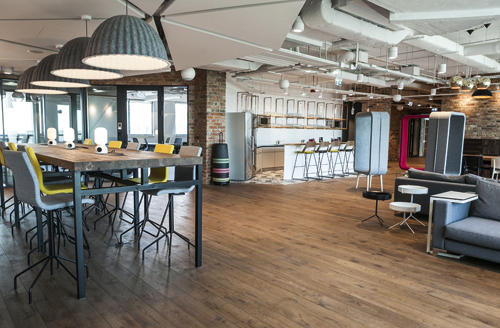 Regus’ response (IWG’s, strictly speaking) to WeWork’s success is the Spaces co-working brand, which the operator has also introduced to the Warsaw market. The first Spaces in Poland is due to open in the building that is replacing Sezam in central Warsaw in October, followed by another in Warsaw’s Służewiec business district. “Within two years we want to have a chain of four or five Spaces locations, each of around 3,000 sqm to 6,000 sqm, in the Polish capital. Our aim is to build a chain of offices within one city, so that we not only have premises in the centre but also in other districts,” explains Rafal Gabteni, a regional director at Regus Poland. It can therefore be assumed that Warsaw will be seeing some interesting competition between the co-working giants, as well as from the smaller players who are now storming the market. Bucharest is the second hottest location for co-working of the CEE capitals. The city, with a population of two million, its many IT specialists, start-ups and the strong entrepreneurial spirit typical of Bucharest, has become increasingly tempting to investors. Their activity has not escaped the attention of co-working operators. Both Mindspace and Spaces (IWG) will soon be making their presence felt in the Romanian capital. The former has announced the opening of three centres in buildings owned by Romanian developer Globalworth, while IWG is planning to open two or three Regus locations and two Spaces this year. “In recent months, we have seen growing interest in launching operations in Romania from international operators such as WeWork, Mindspace and Spaces as well as local start-ups like Puzl. If you bear in mind that four or five years ago there were only two or three co-working centres in Bucharest, you can see how the demand for such premises has increased in recent years,” says Andrei Drosu, a senior research consultant at JLL. There are currently fifteen such locations in the city. In the previous year and Q1 2018 combined, co-working tenants leased 3,800 sqm in the city. The amount of ​shared offices in Prague is set to increase from 16,500 sqm to 27,500 sqm this year, according to Cushman & Wakefield. There are currently 44 such centres in the city and this year four more are to be added, including the largest – the 4,700 sqm Business Link​​. The dominant position is still held by Regus, which has nine locations (6,400 sqm). This year IWG also intends to introduce its Spaces brand, among others, to the city. The remainder of the market is shared by such operators as InnoCrystal, Work Lounge, HubHub, Impact Hub, Scott & Weber, K10, PaperHub and Node5. According to Cushman & Wakefield’s recent report on the market, it is now awaiting the arrival of WeWork, Mindspace, Bethaus and Talent Garden. Although the largest group of clients of co-working offices in the Czech Republic (62 pct) is that of freelancers, corporations are also opting for this approach (24 pct). On the one hand, it gives them a way to identify new talent and business ideas; while on the other it can help to increase employee loyalty by providing them with an inspiring place to work from. In the Czech Republic co-working is already used by Microsoft, Accenture, Google, Dell, Samsung, HSBC and Volkswagen. Only 14 pct of the space being used is by start-ups, who were initially the main users of co-working space. “Each of these groups usually requires a different interior concept. As a result, most co-working centres offer open-space as well as separate offices,,” explains Marie Vlčková, the head of design at Cushman & Wakefield. With its stylish cafeterias and club scene, the Hungarian capital’s atmosphere is a dream environment for start-ups. Nevertheless, it seems that it has not yet found its feet as a co-working hub. 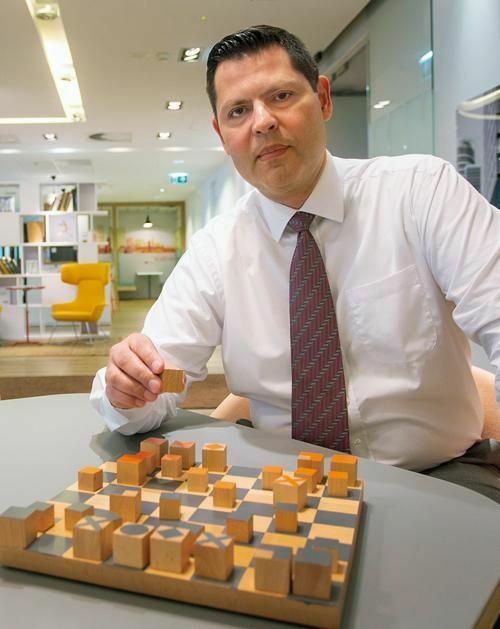 “We expect substantial growth over the next two to five years,” predicts Orsolya Hegedűs, the head of the advisory and research department at Cushman & Wakefield in Budapest. Regus is also active in this market, as well as Kaptar and House of Business. According to Orsolya Hegedűs, the trend is to adapt existing serviced offices to the requirements of co-working. Furthermore, Regus intends to open two or three centres later this year and to introduce Spaces in the future. This year HB Reavis is also planning to bring its HubHub co-working concept to the city. And although the giants of this sector have so far been absent,according to Orsolya Hegedűs they are looking at the possibilities of entering the market. The rapid growth of the co-working scene has also encouraged developers and property owners to take up the gauntlet and enter this promising niche. The HubHubs in Warsaw and Bratislava already opened by HB Reavis are to be joined by centres in Prague and Budapest this year. 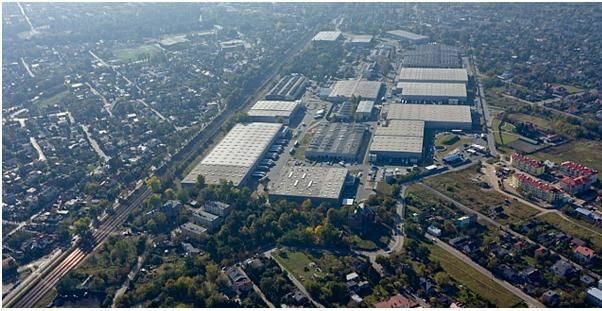 Ghelamco is planning to bring its proven MeetDistrict concept to Warsaw, while Robyg is testing out its Robyg Working Balance concept in Warsaw’s Wilanów district. But it is Skanska together with Business Link (which it holds a stake in) that is making the most dramatic moves in the CEE region. The company intends to open nine co-working centres in two years, totalling around​ ​30,000–40,000 sqm, in Prague, Budapest and Bucharest. 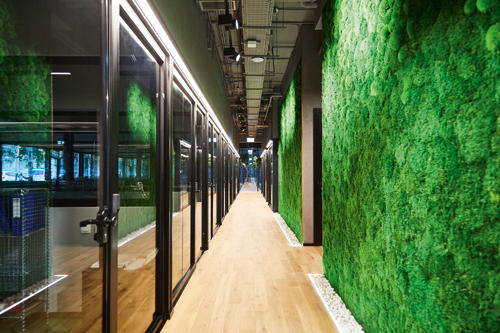 “This expansion will make us the largest chain in Central Europe offering co-working space and private offices for rent,” claims Jarosław Bator, a business development manager at Skanska and Business Link’s operations director. Meanwhile, Adgar Poland has set its sights on conquering the Warsaw market, announcing that it has earmarked 60,000 sqm of leasable space in its facilities for co-working over the next five years. The company believes that since flexible leasing terms have been the greatest boon for the tenant provided by the co-working revolution, but also points out that as the developer and owner of many office buildings it is much better able to provide flexible offices than other operators, most of whom don’t own their office space. Therefore the company intends to offer either a traditional lease, co-working for large companies and start-ups, or mixed models in its properties. The developer hopes it will be able to attract more than 250 companies to its buildings over five years. “The lack of flexibility is the worst thing for a corporation. Either they rent too much space and pay out unnecessarily, or they lease too little and then have a problem when they want to grow. 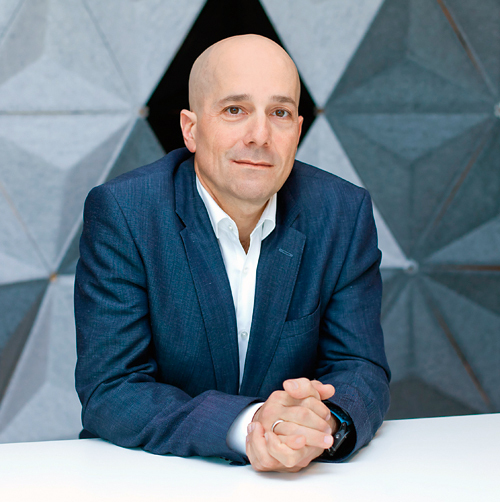 With us they will be able to use additional workstations at any time or opt out of them if they are no longer needed,” explains Eyal Litwin, the CEO of Adgar Poland. The developer is unperturbed by the risks associated with this type of model. “If I leased 3,000 sqm to a single tenant and the company decided to move out, I would still be left with a large area to lease out. If the company only reduces its needs by a few dozen workstations instead, then I have a much smaller problem,” Eyal Litwin believes. How the co-working market will react in the event of a collapse in the office market is a completely different problem, but a significant one. If another crisis occurs, it would resolve the question of whether the competition that can now be seen among operators is a permanent or temporary phenomenon. It seems, however, that one way or another there will be no back-pedalling from the trend for greater leasing flexibility, and so co-working in Central and Eastern Europe and elsewhere is set to keep on growing. “Client awareness is changing. Companies today can see that the traditional leasing model doesn’t allow them to grow rapidly and so is not effective. In order to be effective today you have to be flexible – and we can provide this flexibility to our clients,” argues Rafal Gabteni. According to the Savills report, the average proportion of co-working space in the demand for offices across Europe in 2017 came to more than 7 pct – almost three times bigger than the figure a year earlier. And the experts remain confident that the market will continue to grow, especially where the co-working scene is not as large as in London, Paris or Berlin. Such as is the case in our region.